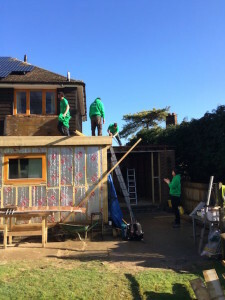 Moving to a new home in Brighton our clients were looking for a potential Eco Renovation project that had a good basic layout, opportunity to convert an existing garage into a self contained extension for an elderly relative and plenty of opportunity to improve the house. 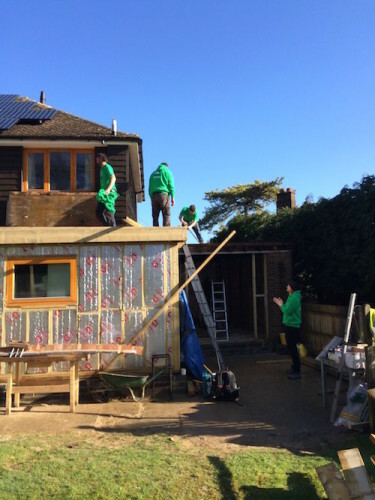 Bright Green Homes LLP were involved from the beginning with the energy assessment and design of the new house, right through to the full renovation work and building the extension. 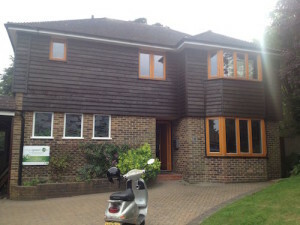 The original 1950s house was an F rated property using nearly 49,000kwh of energy a year – nearly 10 tones of CO2 every year. Once the measures were installed this was reduced by 80% to 2.3 tonnes per annum. 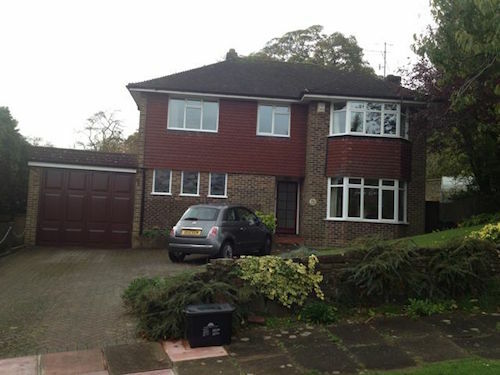 Under floor heating throughout the ground floor and extension with radiators at first floor are powered by a Viessmann Vitodens 200-W 26kW 95% efficient gas condensing boiler coupled with a Solar Thermal system comprising of a Thermomax HP400 20 tube collector and 210l storage tank. This is estimated by SAP to produce 1090kWh of hot water per year. 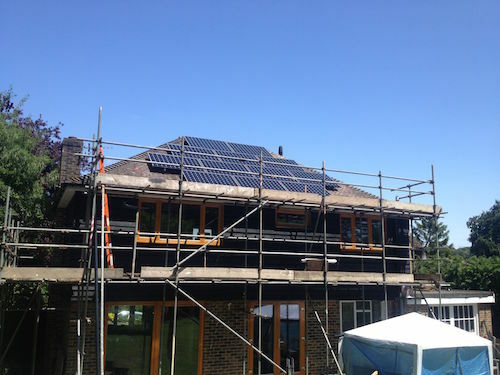 The property has also had a 3.92kWp Solar Photovoltaic system installed on its south facing roof – we removed the existing chimney to accommodate a larger PV system. This system comprises of 12 SunPower 333w solar panels producing approximately 3,400 kWh of electricity every year and benefiting from the Feed-in Tariff and the export tariff to the tune of nearly £900 per year. 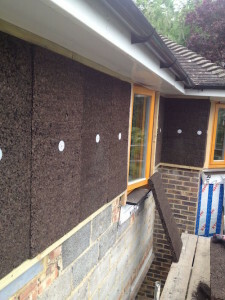 The whole house benefitted from a re-skim of plaster but also adding airtightness barriers to the ends of joists between floors and in the corners of ceiling/wall junctions to reduce draughts in the long term. Also all of the windows and doors were installed with airtightness barriers. We used recycled paints from Newlife paint throughout the house.